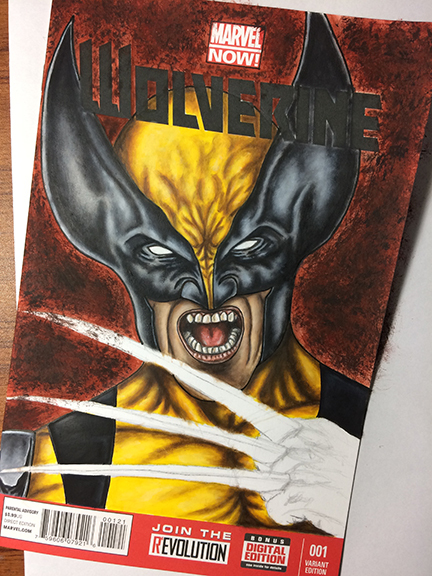 Wolverine Sketch Cover painting progress shot 3. Cover is almost finished up. My brushes of choice with dry brush technique are chiseled and flat size 2 & 4 brushes and spotter 18, 10, 5 size brushes. Rendered with Faber-Castell Art Pens and Liquitex Paint.